Almost everyone has seen these strange looking shoes around. They are the Vibram Five Finger shoes. Why am I reviewing these ultra-thin, barefoot-like shoe on a backpacking website? They have become an essential part of my gear. It took me a while to slip my foot into my first pair of Vibrams. My friends had been boasting about how beneficial they are for running and even wore them on some short day hikes but I was still skeptical. Finally, after doing some research and wanting to give them a try I bought my first pair and I didn’t want to take them off. They are completely liberating. It’s smart to start slow and allow your feet to re-build the muscles that regular shoes have limited but once you get used to them, these shoes will make backpacking that much more fun and enjoyable. 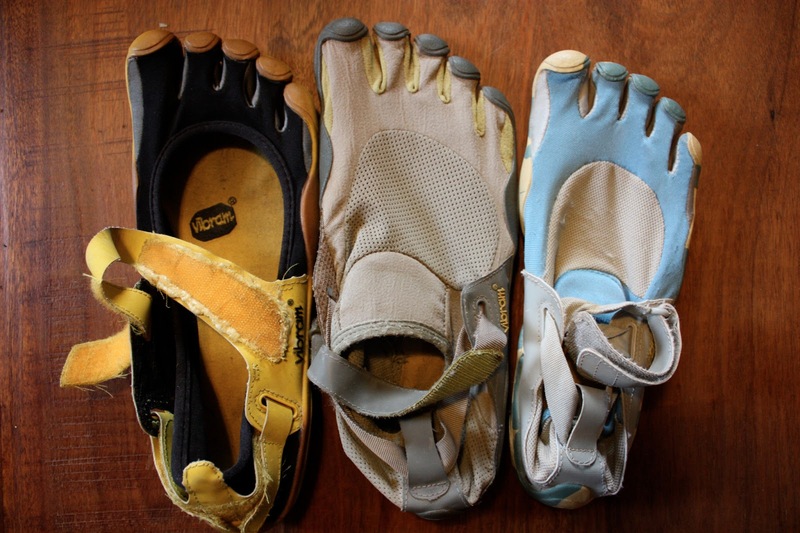 It was while on a trip in Southern Utah that I realized having my Vibrams would have been extremely helpful. Trying to climb sandstone in thick, high-topped hiking boots is a really unpleasant experience. I found it better to go barefoot but then suffered blisters because of that decision. On the next trip I brought my Vibrams and couldn’t have been happier with that choice. They grip to the sandstone better than anything else I’ve experienced. Even better, with these shoes on I can go in and out of streams without a worry. The make a great shoe for day hikes in canyon country as well as a great all-around camp shoe for when you want to get your foot out of that musty hiking boot. Added bonus: they are super light weight! Again, don’t put these on and try to hike 30 miles right at first. Ease into them and allow your feet to build the muscles they were meant to have all along. You’ll be glad you did.